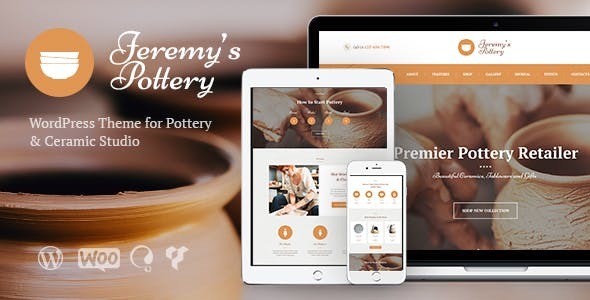 Pottery & Ceramics – authentic, clean & fresh WordPress Theme. It is an ideal web solution for modern pottery classes, pottery workshop, ceramics store, pottery supplies shop & events. It is also perfect for individual potter and handmade shop: Plates, Mugs, Dishes, Bowls.